What is your soul supposed to learn in this trip around the Medicine Wheel? What contributions does your spirit want to make to Mother Earth and all her children? 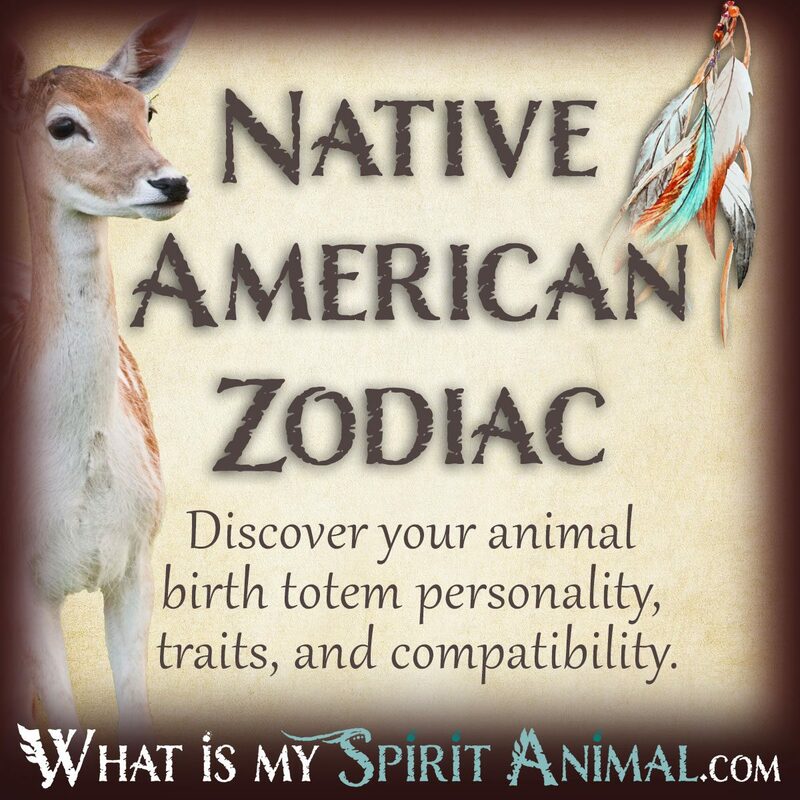 Click on your birth totem (below) to find out! Also, scroll down or click to learn more Native American Zodiac & Astrology. The Bear birth totem is tied to the element of Earth and the cardinal direction of West. People born with this totem have manly characteristics, even among women. This provides bear with an inner strength that’s balanced with truthfulness, acceptance and sincerity. If the Bear is your Native American birth totem, you are naturally curious. The more difficult the puzzle, the more it intrigues you. Once a mystery unravels your next action is sharing that information, but such a gift should be balanced with caution. You don’t want to spoil a surprise or an epiphany for someone else. Bear people are practical and discrete. You like sitting back and gathering information for future use. Bear is also a very physical person who responds to sensual input strongly. One of the challenges for the Bear totem is understanding that there is more to this world than just what we encounter on the corporal level. Your spiritual self isn’t easily categorized in the tidy filing cabinet of your mind. If the Bear is you, your personal space is very important to you. That cave is secure and welcoming. It is a place where you can safely explore all aspects of your inner world. You go to that sacred place for quiet revitalization. Bear is not a creature of change. What others call same-old, same-old you find comfortable and assuring. Nonetheless Bear must learn how to handle transformations otherwise he will never truly grow into fullness. 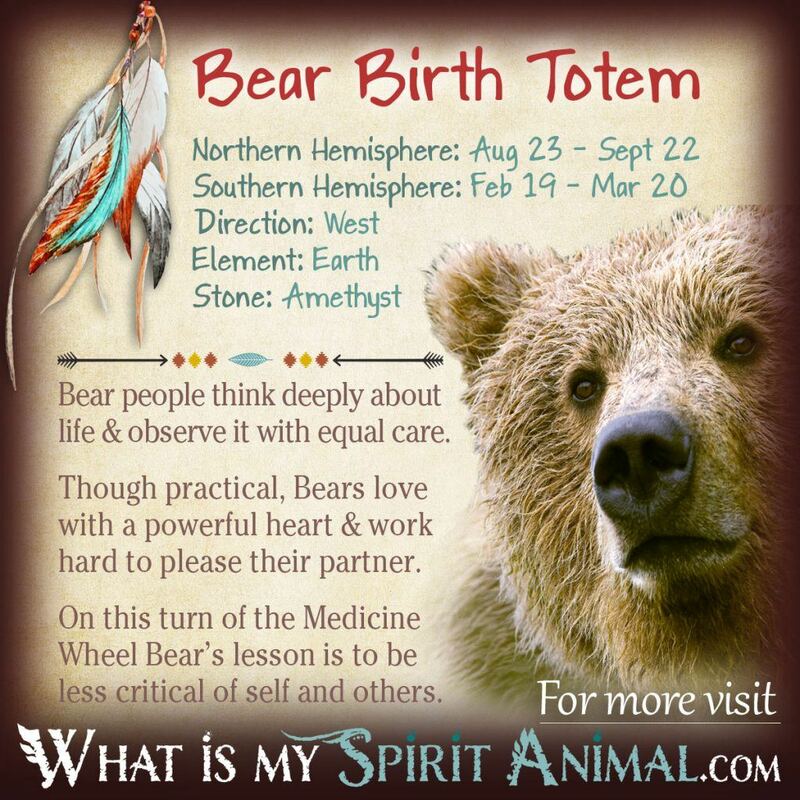 Click to read more about the Native American Zodiac Bear Totem. The Beaver birth totem is tied to the element of Earth and the cardinal direction of East. People with the Beaver totem often seem anxious. Sitting still for long periods of time is enough to drive Beaver to distraction. If you were born with the Beaver you have natural tenacity. There is very little that can keep you from finalizing any project. Better still, Beaver has pretty amazing talents. These people can create great beauty and strong foundations. In the mundane world, Beaver people often worry over finances. As a result they work very hard creating security for themselves and those they love. Any excess from these efforts often go into charitable acts that make Beaver smile within. A Beaver totem gives you the underlying sense of self-assurance. You are regarded as a home body who loves to entertain. In this setting you can show off the ambiance you carefully created within. “Hostess with the mostess” truly applies to Beaver. While Beaver seems calm and collected on the surface, realize this person still has some pretty harsh uncertainties that eventually surface. You cannot run from these things. They are your lessons to resolve. Additionally, Beaver needs to take care not to become too focused on work, missing so much of life in the process. Bring play and relaxation into your dam for balance and joy. 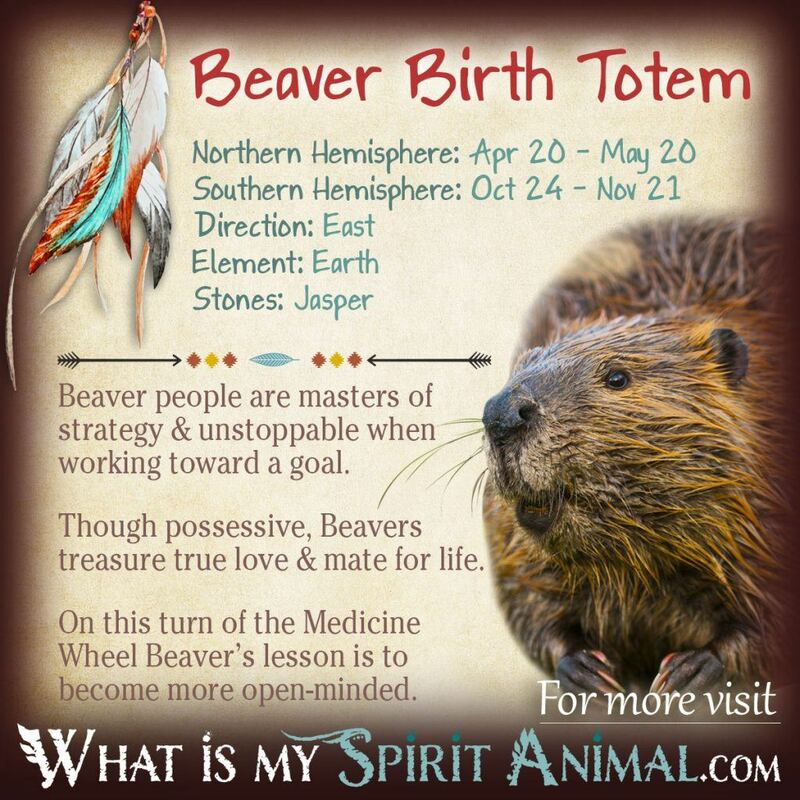 Click to read more about the Native American Zodiac Beaver Totem. The Deer totem’s element is Earth and the cardinal direction is East. Those born with this totem are coy and whimsical, which endears them to many. There truly isn’t a mean bone in Deer’s body and they delight in socializing with others of a like mind. If you are the Deer you have quite the gift of gab. Your smart mind and keen wit keeps conversations energetic and engaging. You have no problem with public speaking and would do well to find work where you can use this talent regularly. In relationships Deer people are compassionate and nurturing. Nonetheless, some disquiet lies in your soul. The best way to deter that voice is finding a focused challenge. Just know that “turning on” that focus is easier than turning it off. Deer is a peace maker. You do not like conflict, but will participate in it when you feel you have something good to offer toward a resolution. Bringing together dissimilar people positively makes Deer very happy. Deer also does not enjoy a sense of instability and will do everything possible to restore order. By the way, if you were born under the sign of the Deer you can sneak with the best of them. Winning hide and seek is a breeze. Be aware, however, that you can scare the heck out of people if they don’t see you outright. Save that aptitude for Halloween! 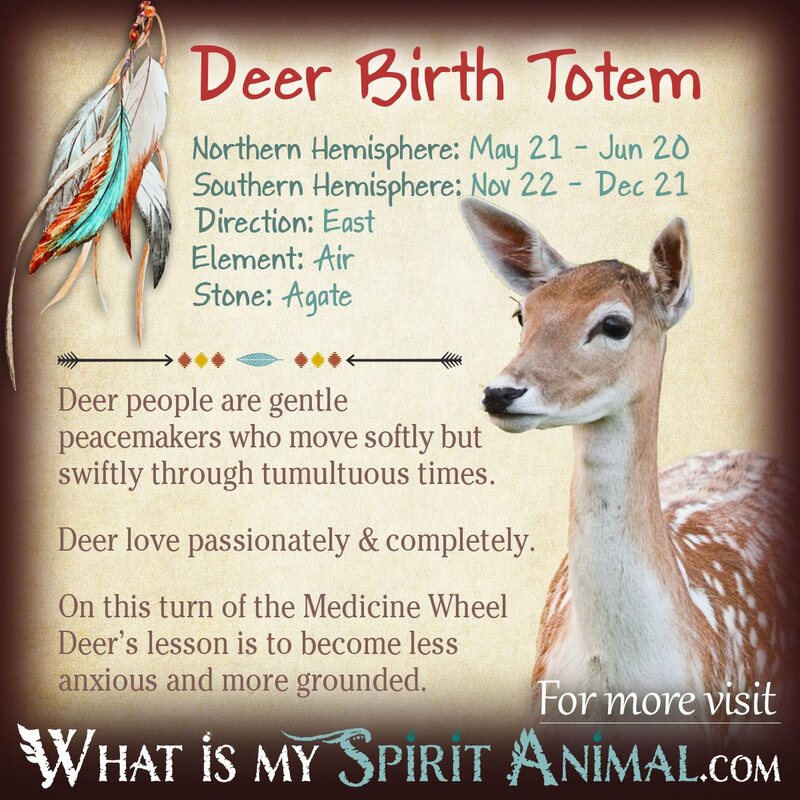 Click to read more about the Native American Zodiac Deer Totem. The Falcon totem’s element is fire and the cardinal direction is East. Those born under the sign of the Falcon keep their cool even in the midst of a whirlwind. Despite being a bird, Falcon is well grounded and has sound decision making skills. This is why Falcon often finds themselves in a leadership position, even unwittingly. Falcon is not afraid of a challenge with a little good-natured rivalry. Falcon wants to make the next great discovery, win a world record in running and even perhaps go into space. Falcon is inspired by a desire for adventure that is not easily quenched. If this is your totem, you have keen eyes and senses. If you convey an observation, it’s nearly often correct down to minute details. This creates a strong sense of self-confidence that some people interpret as being egotistical. Nothing could be further from the truth. You simply have a firm core of personal truth that rarely wobbles. In relationships Falcon is a passionate partner. He or she will express their love and sensuality in very creative ways. You need a partner who likes to fly high, exploring where the winds take you. From this perspective you can see very clearly the Path you should take for fulfillment. Walk in prayerfulness. One of the challenges for Falcon is getting in touch with your inner world. You tend to ignore it, preferring less complicated topics where you can easily see the fruit of your efforts. Alas, Falcon needs that deeper connection in order to discover their Medicine in all its glory. 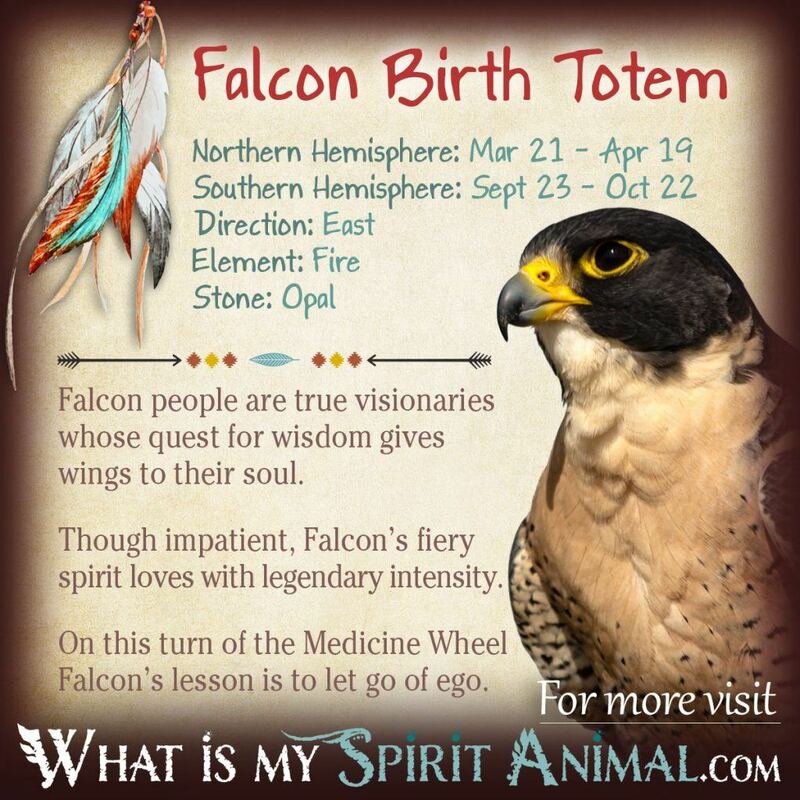 Click to read more about the Native American Zodiac Falcon Totem. The Otter totem aligns with the element of Air and the cardinal direction of North-Northeast. People born under the sign of the Otter confuse the heck out of the rest of the Native American Zodiac. There is nothing predictable about Otter, nor does he feel the need to do things in a conventional manner. Even though people may not understand Otter’s approach, this sign if often quite adept at finishing tasks with great skill. If this is your sign, you were born with creativity surging through your veins. You’re smart, intuitive and nurturing. Better still, honesty is Otter’s whole policy. You could not ask for a more tried and true friend than Otter. The mind of the Otter is insatiably curious, particularly when it comes to people’s deep-seated beliefs and viewpoints. Exploring these concepts acts as brain food. You retain all that you learn in tidy mental files and look for any good excuse to share that data. In so doing Otter sometimes takes over conversations without realizing it. His enthusiasm literally sweeps him away. The Otter birth totem is very playful and sometimes a little sly. These people enjoy frolicking and dancing under the moon, away from the daunting eyes of daily life. The challenge here is getting Otter to come back down to earth and re-focus. Overall Otter is very appealing and agreeable, making them a friend to many. 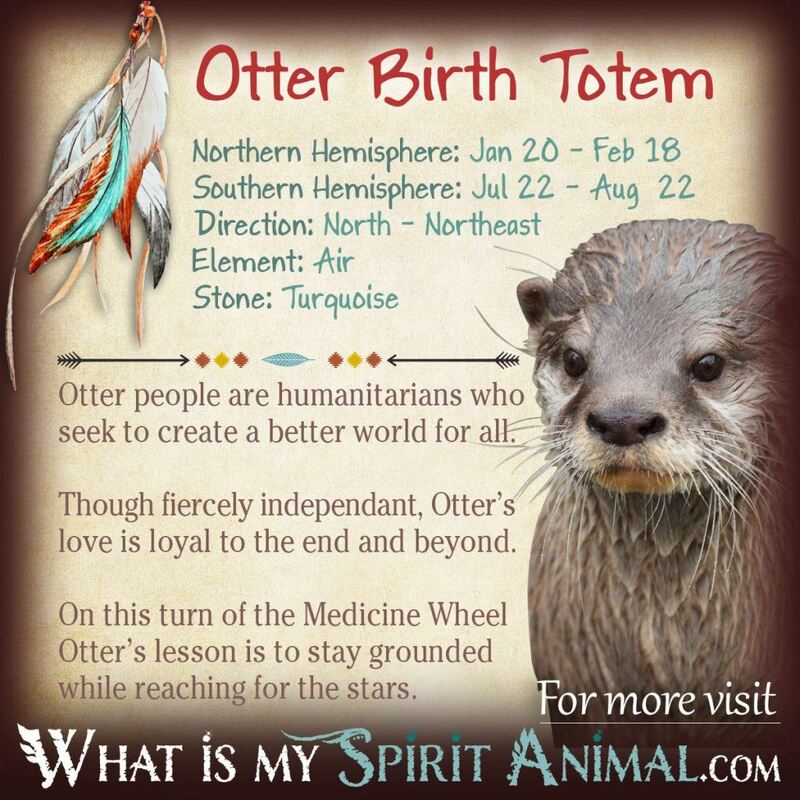 Click to read more about the Native American Zodiac Otter Totem. Owl totem is governed by the element of Fire and the cardinal direction of Northwest. Those with this birth sign are somewhat enegmatic. On one hand they have energy plus coupled with a very outgoing nature. On the other hand they often leap before looking and end up in a proverbial stew. The good outcome from this is that Owl learns to flex instead of break. People in the Owls life appreciate her listening skills. Owl won’t interrupt, and processes everything they hear carefully. If asked for an opinion, it will be wholly honest (all be it sometimes without any cushioning). If this is your birth totem you greet life with hope and optimism. You honor your spiritual nature and endeavor to integrate that into day-to-day experiences. Owl must stay true to their soul’s purpose, which can be a struggle in a chaotic society. Owl people see things very clearly and prefer to observe before interacting. That way your eyes are open before going into a situation. Your upbeat attitude discovers beauty in the smallest of things. You are a seeker of knOWLedge that never ceases enjoying discovery. The challenge for Owl is staying a restless soul. There is so much to do and see in life that they try to squeeze in 100 experiences rather than having one that’s truly transformational. This is the person speed-reading the book of life and missing the deeper message that could fulfill those inner desires. 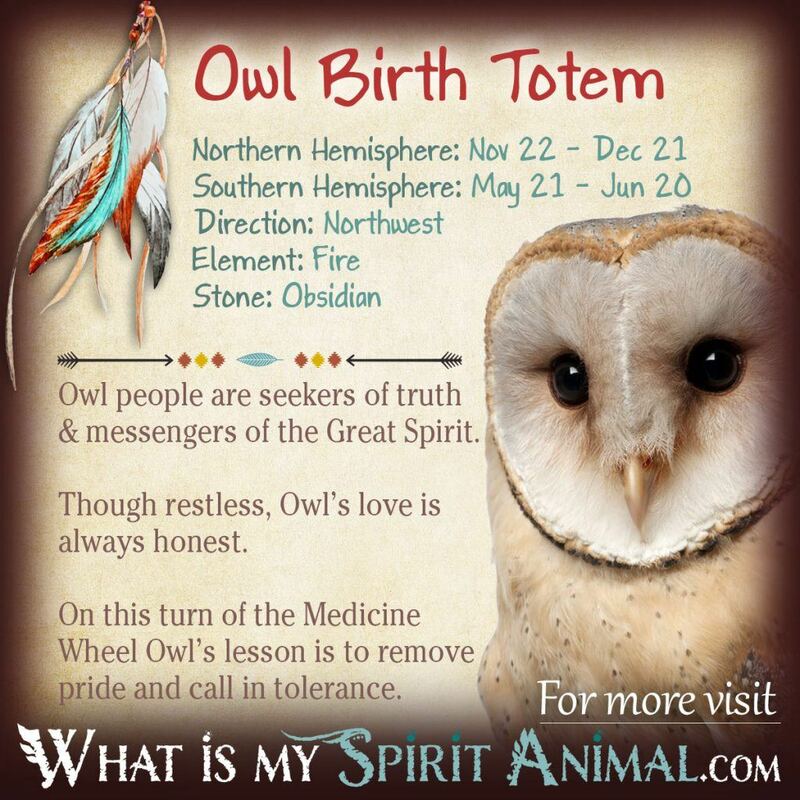 Click to read more about the Native American Zodiac Owl Totem. The Raven totem is governed by the element of Air and the cardinal direction of West. Those born with a Raven totem have business as a middle name. They love to grow projects and companies, securing themselves financially in the process. Raven is intensely charismatic, bright as the sun and highly principled. If you need someone to represent you in a sales deal, ask a Raven. They’ll get more than you asked for. Despite Raven’s energetic commercial undertakings this bird is really easy going. The remain serene even in difficult dealings and have keen perceptiveness. Raven can be radically passionate about an idea or project, becoming demanding in the process. Once this faux paux comes to his attention, Raven calms down and asks for forgiveness in a wholly contrite manner. If you are flying with the Raven totem you are likely constantly on the move toward a new exploit. Ravens don’t put down deep roots, preferring to follow the wind where it takes them. This can leave Raven feeling that they are on the outside of life, looking in until they’re ready to land and stay put for a while. Ravens love pretty shiny things. They want to be surrounded by beauty. This propensity isn’t always practical, but it is very satisfying. Shiny things can also apply to a new project or idea. While it may seem very exciting, implementing it doesn’t always turn out to be easy. 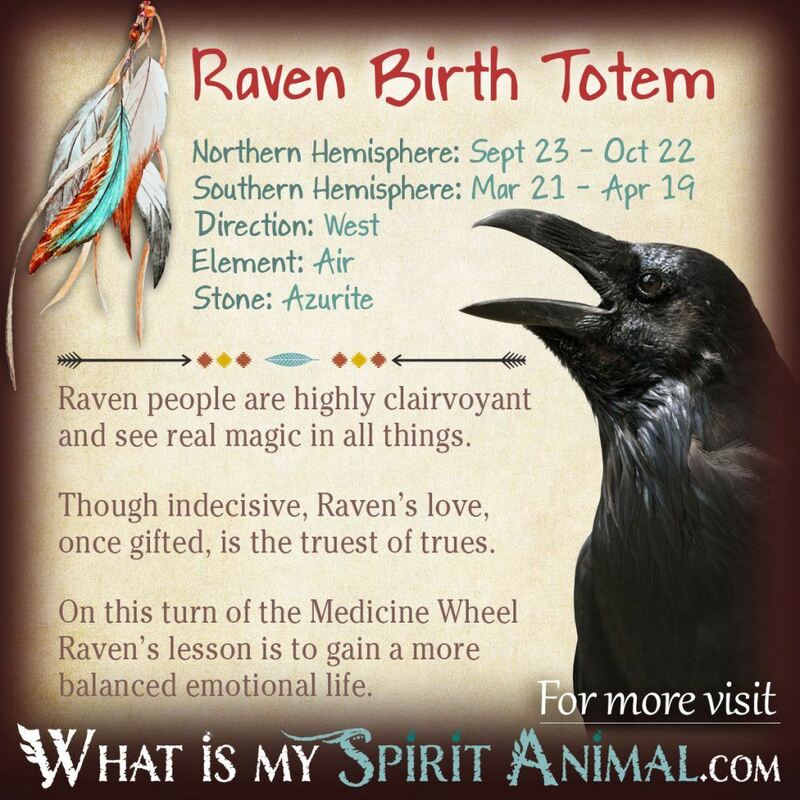 Click to read more about the Native American Zodiac Raven Totem. The Salmon totem comes under the governance of the Fire element and the cardinal direction of South-Southwest. If you thought Beaver was a bundle of energy wait till you meet a Salmon person. They are so fast that Salmon seems to disappear in a moment’s notice. Driven by enthusiasm and passion, people are attracted to Salmon and often jump in the stream with him. The experience is wholly encompassing, filled with rapids of fun and usually ending as a success. Those born under the sign of the Salmon must have meaningful objectives. Nothing is done without thought as to how to make it helpful, compassionate and responsive to a viable need. Greed has no place in Salmon’s world. With partners, Salmon shows great zeal and creativity. Within the circle of that relationship deep understanding builds. Both Salmon and their partner are forever changed for the better for this experience. If you are a Salmon you root for the little guy, sometimes to a fault because you feel things so deeply. You see those who serve, often without getting any real recognition. Salmon is ready and willing to provide just that with a refined stage manner. Salmon’s connecton with water plays a role in this Totem’s characteristics. You are creative, artistic and refreshing. You are attracted to places with living water from which your mind and spirit can drink fully. 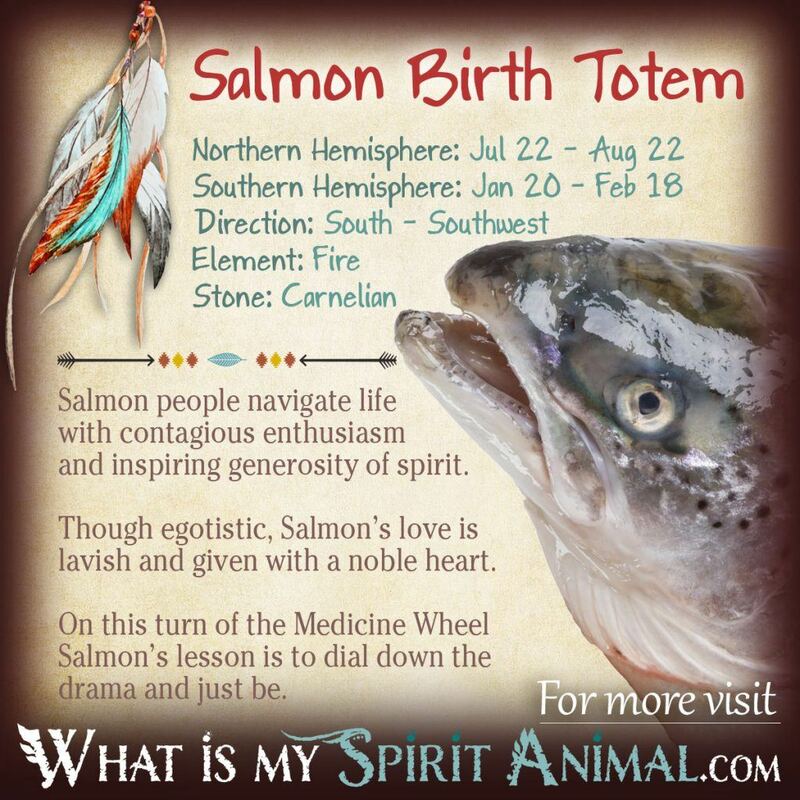 Click to read more about the Native American Zodiac Salmon Totem. Snake totem is associated with the element of Water and the cardinal direction of Northwest. In Native American traditions say that Snake is the most common totem among Shamans because they are the tribes’ healer and spiritual guide. Like the Snake, the Shaman remains unruffled by a little drama. They slide along cooly, and handle matters with a level head. If Snake is your totem, you probably enjoy unraveling enigmas and secrets. You also honor secrets with due dilligence. People can trust you as a confidential listener. In social settings Snake shows great humor, inventiveness and adaptability. Snake people can proverbially shed their skins not only for growth but also flexibility with their surroundings. Snake also enjoys supporting other people with deeply personal goals. People with a Snake totem have busy minds. They think about 10 things at once, and make impressive multi-taskers. Ever outgoing and cunning, Snake takes life head-on. The challenge for Snake, however, is that releasing the past proves difficult. There are always the “what if” questions that create anxiety. When you walk with Snake you have a natural affinity for mystical and spiritual matters. You may even decide to walk the Path of the Adept in order to serve a higher calling. Snake is well suited to this task, having strong focus and sensitivities without needing accolades. 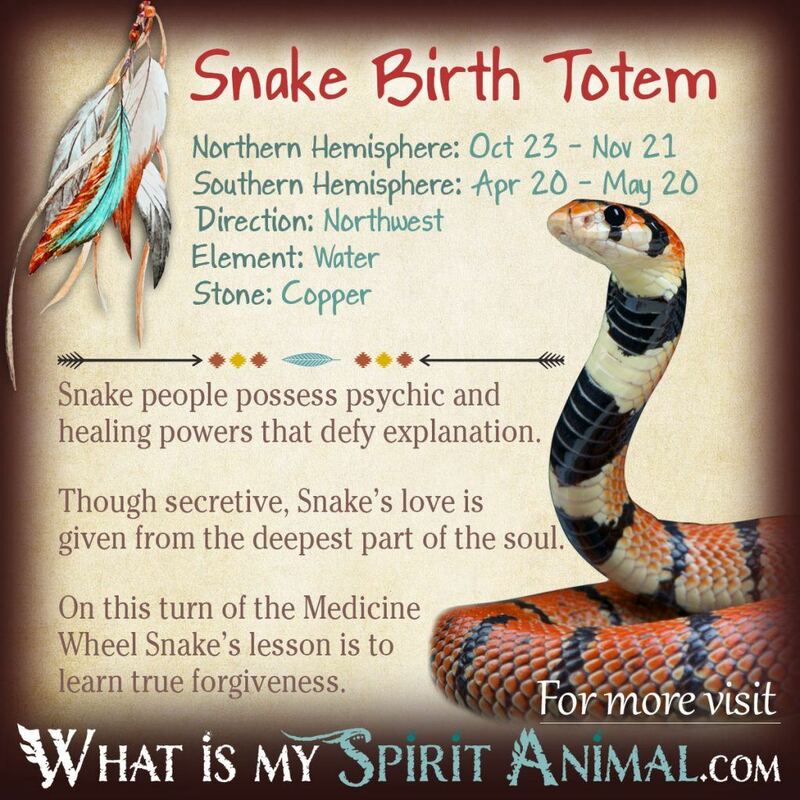 Click to read more about the Native American Zodiac Snake Totem. Snow Goose comes under the realm of the Earth Element and the cardinal direction of North. When you are looking for someone with motivation and drive seek out a person with a Snow Goose totem. These unique birds have a play-by-play strategy for nearly every moment of any given day. This approach to life gives Snow Goose a greater sense of comfort and builds the confidence they sometimes lack. If this is your Native American totem, you set the bar very high for yourself. This is part of Snow Goose’s challenge. Keep things realistic or you will fall short and disappoint yourself. The good news here is that you take even nasty setbacks with good-natured humor. You have learned the lesson of how to laugh at yourself, which is very healing. Snow Goose people are lovers not fighters. You would rather give your energy to positive efforts for the greater good. This totem animal illustrates the meaning behind the phrase, “slow and steady wins the race”. Snow Goose always has an eye on the prize but also knows that sometimes the greatest successes cannot be rushed. Inside their circle, Snow Goose people love creating a welcoming haven. Beauty shines in every part of the home. This radiance reflects the true soul of Snow Good that’s very genuine and faithful, particularly with close family members. When someone in that group hurts, Snow Goose contentiously observes progress and offers support. 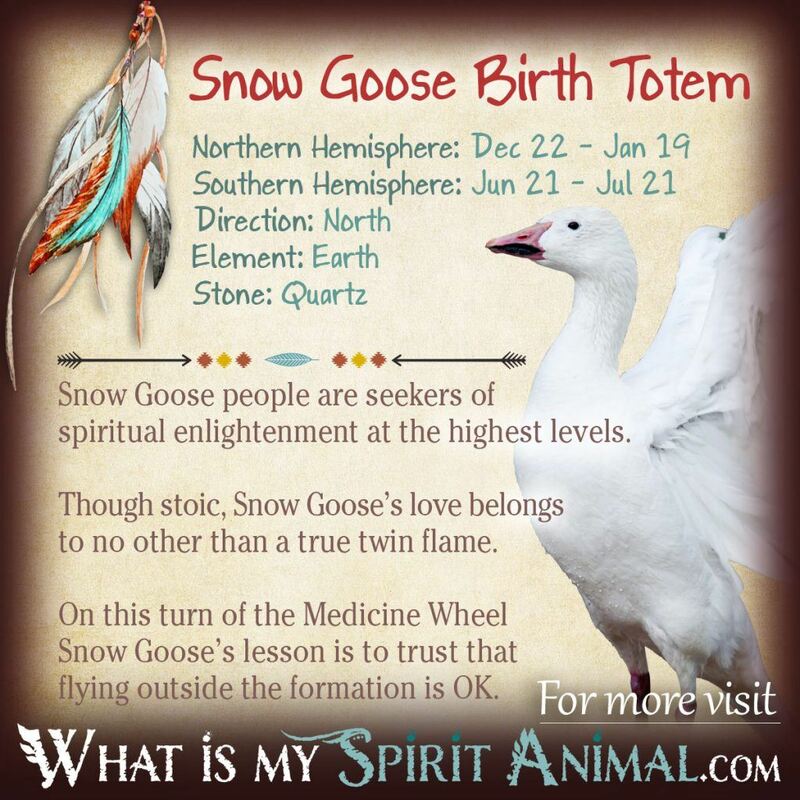 Click to read more about the Native American Zodiac Goose Totem. In the Native American Zodiac, Wolf totem comes under the governance of the element of water and the cardinal direction of Northeast. The idea of a lone Wolf holds true to this animal zodiac sign in that Wolf people need solitude regularly. Balancing that they enjoy a very intimate relationship where their partner understands this propensity and gives space when necessary. The heart of a Wolf is very generous. There seems to be no limit to what they are willing to give to those in need. Sadly some people take advantage of Wolf’s nature. In this Wolf must remain guarded and sniff out true intentions. When among a group of trusted people, Wolf acts as a protector and guardian. People who have this totem have keen minds and loyal hearts. The Wolf totem runs by gut instinct, which is typically spot-on. If the Wolf is your birth totem you are a natural seeker. As such others may follow you out of trust simply because you seem to know where you are going (and more importantly why). This trait shines particularly brightly when it comes to philosophy or spirituality. Wolf knows how to walk between worlds and balance them both in their daily life. Wolf teaches effortlessly, often not realizing that their “walk” speaks volumes. 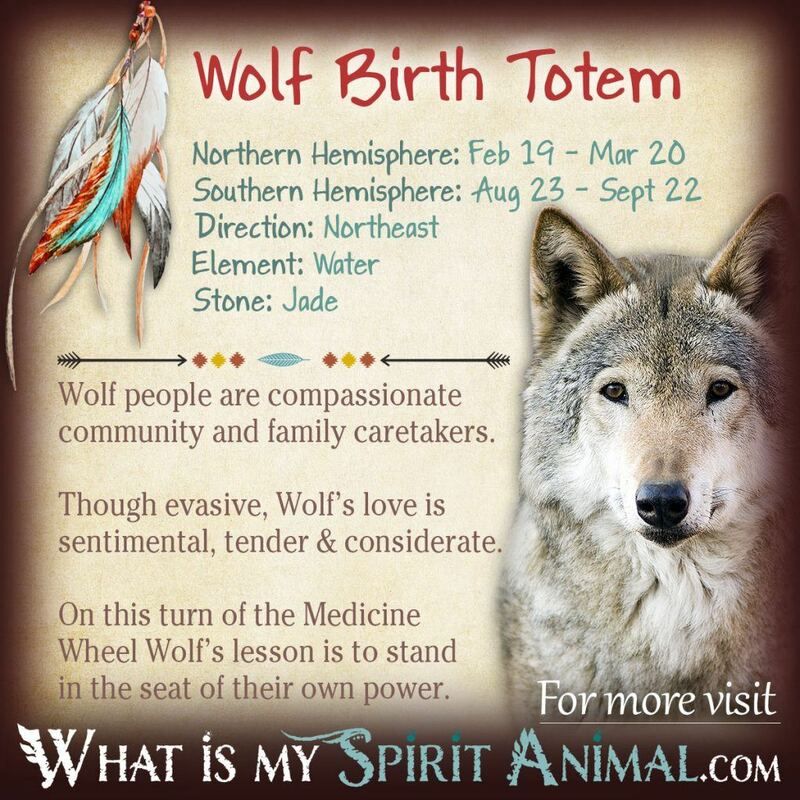 Click to read more about the Native American Zodiac Wolf Totem. The musical Woodpecker pounds out her beat for the Element of Water and the cardinal direction of the South. In the realm of the Native American Animal Zodiac, Woodpecker is the nurturing force of the Sacred Mother. Woodpecker people know instinctively when to offer aid and what kind. They effectively “kiss boo boos and make them better”. In relationships, Woodpecker shows great devotion. She takes her time finding just the right partner. Once committed, Woodpecker gives all her attention and energy toward making that person happy. The caution for Woodpecker is not collapsing yourself completely into your partner where your uniqueness gets lost. If this is your birth totem, you have a way with money. You know your way around a check book and banking nearly as well as an accountant. There is a very valid reason for focusing your attention to budgeting – it provides security for your loved ones, which brings joy to your spirit. Another characteristic of those born with a Woodpecker totem is a passion for nature. Many find themselves joyfully drawn to working in ecology or other environmental sciences. Staying connected to terra firma feeds the soul of Woodpecker with warm, welcome vibrations. The biggest challenge for Woodpecker is balancing mind and heart. She is sensitive and easily overwhelmed by emotion. In this, Woodpecker must meter the love they give and make sure relationships stay balanced. Woodpecker also needs self love for fulfillment. 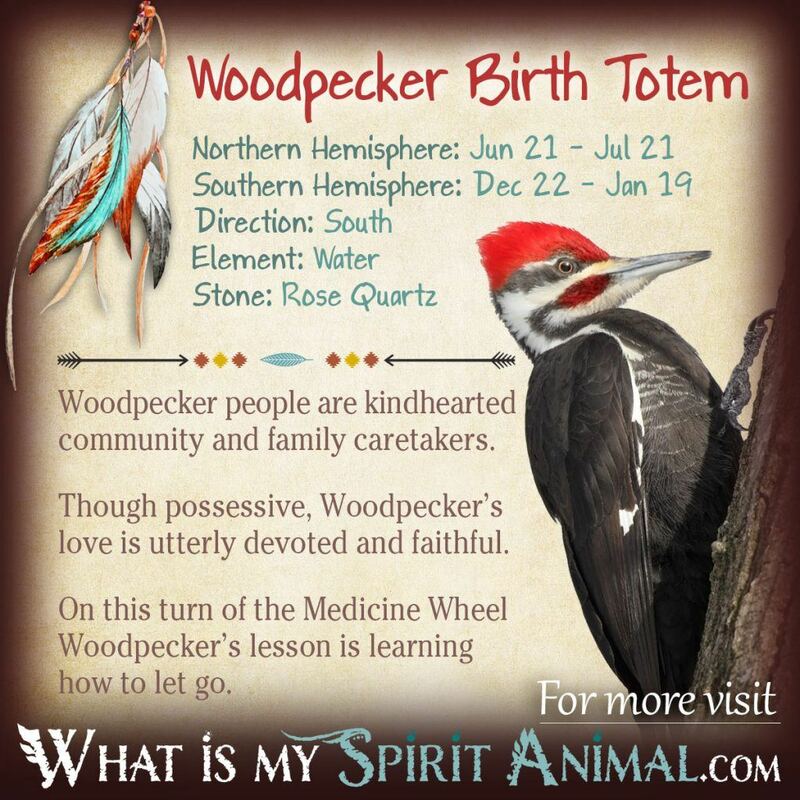 Click to read more about the Native American Zodiac Woodpecker Totem. The Native American Zodiac & Astrology ‘system’ bears many similarities to other celestial systems of predicting our present and future. In its simplest form, Astrology looks to the placement of the stars, moon and sun at the time of your birth as a pattern that illustrates your unique, essential being including on a spiritual level. Metaphysical practitioners use the phrase, “as above, so below” to express this principle. We are tied to the earth and the stars, and all living things in a sacred network. Native American Astrology helps us become more aware of those connections, supports learning to trust our instincts and acts as a system for personal growth. The ultimate intention in this astrological system is giving people a greater understanding of their overall purpose and contracts that you accepted as a spiritual being in this world. Birth is a very real type of initiation. From that day forward knowing what you’re here to learn makes a great difference in decision making. This original purpose is an archetype written in our DNA and it not only affects us personally but as a collective consciousness. 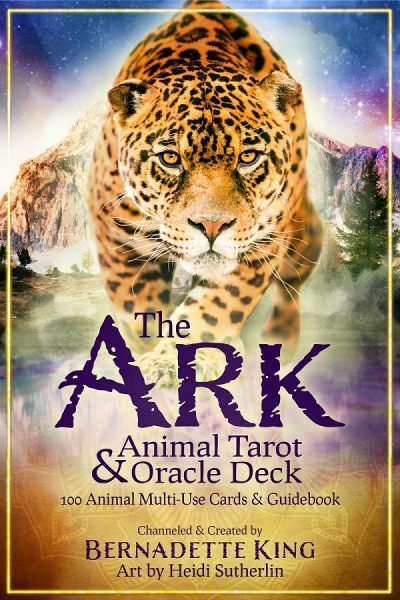 In other words, the Native American Zodiac is a means of claiming your responsibility in this life while preparing for the next turn on the wheel of reincarnation. That might at first sound a little sullen but its not. Native Americans see life as a never ending wheel that each soul travels to their destiny. As some might say, when one door closes another opens along with yet more opportunities for self-actualization. In other words folks, it truly is the journey not the destination that matters. How much influence your Native American Zodiac Sign has in your life and how it manifests depends heavily on the phase of the moon, the new moon bringing inspiration, the waxing moon exposes emotions, the full moon is spiritually energetic and the waning moon is one of release. Each animal totem has a color affinity, an elemental association and ties to the winds! There are more correspondences that you can explore as you read the personality & characteristics of the 12 signs. The practice of Native American Astrology is best taken in small bites. There’s a lot to learn and many layers of insight that peel back like an onion when you give it time and attention. Those wanting a deep understanding of Nature’s rhythms and mysteries would do well to embark on this intricate journey. It will change your relationship with self, others, the Earth and the universe itself. Hint: consider keeping a journal for those “ah ha” moments in your studies. As you grow and learn, you’ll find the lessons you integrate from the Native American Zodiac become more profound. Trust your Spirit Animal as a cherished friend and guide in the journey. This astrological system is very detailed. You won’t learn everything overnight – and what I’ve provided here is a rather cursory overview just to give you a sense of the whole construct. So take a deep breath and keep reading! Most people are familiar with traditional Western astrology, but Native American astrology is a far cry from what you see in the daily the newspaper. Where Solar astrology generally focus on the 12 signs of the zodiac, in this system the whole of a person’s chart is considered. Yes, the sun plays a role but so do numerous other pieces of data that provides a 3 dimensional view of our soul’s intention. Native American systems do not elevate one sign or archetype over another. They are all important to understanding the big picture. These archetypes of human potential come in all sizes and colors with a full range of possibilities! Your Native American Zodiac chart is, for all intent, akin to the script of your life. This in no way, however, limits the concept of free will. Don’t worry there is plenty of room for ad-libbing. Think of your chart like the outlines in a coloring book – you bring the crayons you wish and can even scribble outside the lines! In ancient times, people depended heavily on signs and omens from the world around them including the stars. Often it fell to a Medicine Person or Shaman to interpret these signs, as is the role of wise people, healers, magicians and walkers between the worlds (psychics, mediums, clairvoyants, etc). The ancients paid very close attention to the sky and land, trusting in repeated patterns to tell them when to plant, harvest, travel etc. In many ways this tradition is like a modern road map and Farmer’s Almanac blended together. The pattern of the stars had significance in Native American myths and fables, which also connected to their culture and beliefs. By extension, the Zodiac also uses those stories to illustrate deeper truths. My birthday Is March 31 1967. Aries! I cant find mine, my birthday is June 19 and i’m in the northern hemisphere. My symbol is the wolf and I have never read anything more details about my personality then this. Wolfs has been always part of my life growing up on Transylvanian Mountaints in Romania. Im in love with this animal …..now I know why I was born in Mach 17. I’m on the cusp. Does that mean anything? If so, I am part Bear and part Salmon. Can anyone provide any insight? I was born on 20th January 1999 making my birth totem an otter, correct? However, since the otter matches Aquarius star sign and I am technically a Capriquarius as I was born on the Capricorn/Aquarius cusp, does that make the snow goose a birth totem as well due to it matching up with Capricorn star signs. Does Native American astrology say anything about double/adjoining birth totems? Apologies if this is ignorant; I am very new to this side of astrology. Firstly, can you give me a clearer definition of what the Spirit, Totem and Power Animals signify and what their role is? And Secondly, what does the cardinal direction of an animal tell us about the animals in the Zodiac?